ConceptDraw has 393 vector stencils in the 13 libraries that helps you to start using software for designing UML Diagrams. You can use the appropriate stencils of UML notation from UML Sequence library with 51 objects. 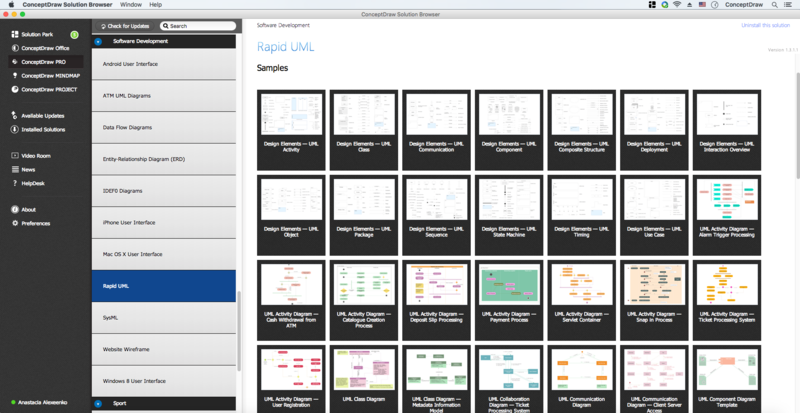 ConceptDraw Rapid UML solution delivers libraries contain pre-designed objects fit UML notation, and ready to draw professional UML Sequence Diagram. 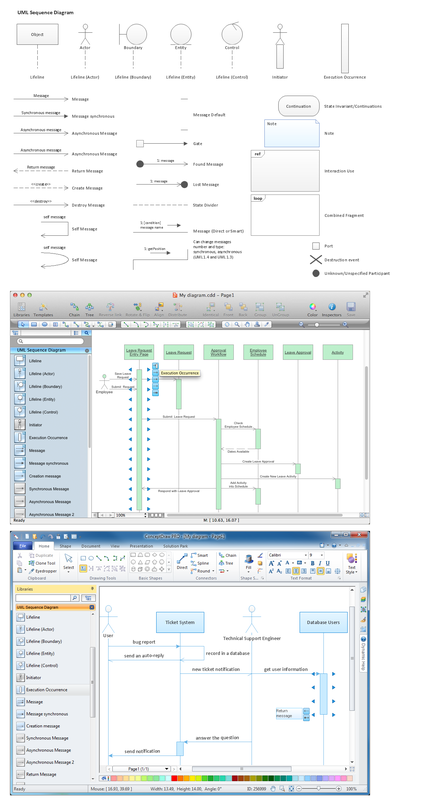 ConceptDraw Rapid UML solution provides UML Sequence Diagram library of vector stencils for UML sequence diagram elements like lifelines and message arrows. Use the UML Sequence Diagram library to draw your own UML sequence diagrams that show process interactions as messages exchange arranged in time sequences during runtime scenarios.